The Low Frequency Array (LOFAR) radio observatory is the largest radio telescope in the world that performs observations in the lower frequencies. This new generation radio telescope will be able to research the origin of the first galaxies, black holes and gas clouds at the ‘birth’ of the Universe. 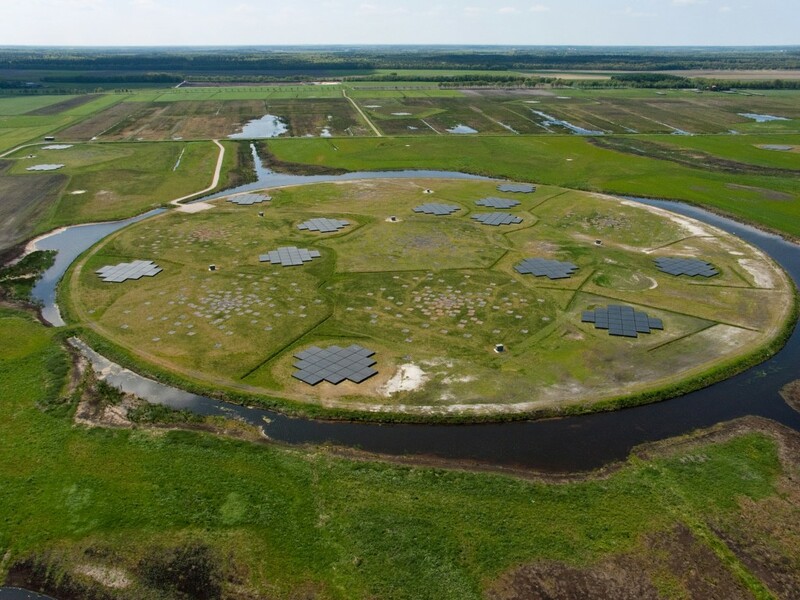 LOFAR consists of thousands of small antennas, distributed in 24 Core stations around Exloo, 14 Remote stations across the Netherlands and 12 International stations in Europe. The antenna stations are connected through a very fast glass fiber network. This leads to the supercomputer of the Donald Smits Centre for Information Technology, that combines the data of thousands of antennas. With this software a virtual dish is created with a diameter of about 100 kilometers. The model is expanded with antenna stations in Germany, the UK, France and Sweden, which allows astronomers to observe even sharper detail. The largest distance between antennas is about 1500 kilometers. The locations of all LOFAR stations are indicated on this map. Available observing mode: single dish, array mode. Research programs: cosmology (epoch of reionisation, EOR), extra-galactic and galactic research (deep extragalactic surveys, transient sources, ultra high energy cosmic rays, pulsars), geophysics and even precision agriculture.